Jessica 's iconic moisturizer is a unique blend of essential oils that rehydrates, conditions and softens cuticles, and promotes the growth and flexibility of nails. · For Natural or Artificial Nails..
Just one minute protects fresh manicures and pedicures from scratching, smudging, smudging and wrinkling with special film formers that work invisibly to protect the polish. Easy. Fast. Effective.· For..
Topcoat seals and protects polish like a ceramic glaze to safeguard your manicure and extend durable finish for up to two weeks. Keratin amino acids create a barrier against breakage and every day wear and tear. · ..
"Revitalizing sugar sensation" Body Treats, a complete collection of invigorating hand and body bath washes and body lotions. The hydrating formula includes Hyaluronic Acid (commonly referred to as the “fountain of youth”) and utilizes a u..
"Mouthwatering sweetness " Body Treats, a complete collection of invigorating hand and body bath washes and body lotions. The hydrating formula includes Hyaluronic Acid (commonly referred to as the “fountain of youth”) and utilizes a uniqu..
"fresh, crisp citrus" Body Treats, a complete collection of invigorating hand and body bath washes and body lotions. 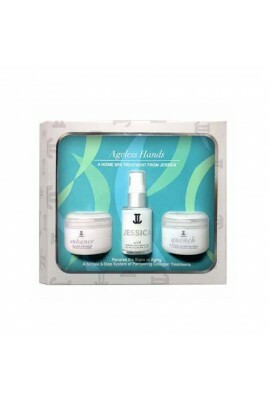 The hydrating formula includes Hyaluronic Acid (commonly referred to as the “fountain of youth”) and utilizes a unique com..
"Floral bliss" Jessica Vartoughian – the authority on natural nail care, introduces Body Treats, a complete collection of invigorating hand and body bath washes and body lotions. 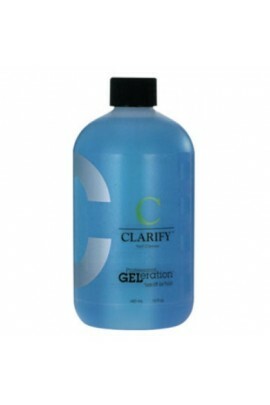 The hydrating formula includes Hyaluronic Acid (commonly ref..
Clarify multi-purpose cleanser was developed especially for GElaration. 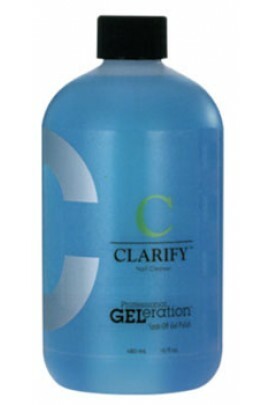 This oil-free formula can be used to cleanse the natural nail and to remove any sticky residue. ..